Organic West Country venison prepared in our butchery. 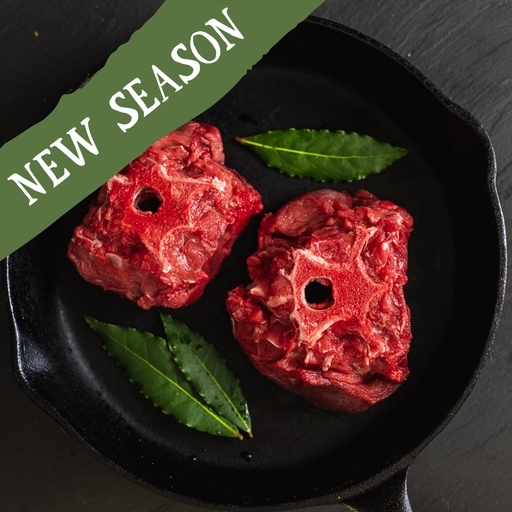 Venison is a lean, healthy red meat – and these great value cuts from the neck and shin, with the bone still in, are just the thing for stews. Coming from a harder working part of the animal, they need a longer cooking time - but the rich extra flavour and beautifully tender meat are well worth the wait. Treat it like braising steak: season and brown in a hot pan, then braise in wine, stock or beer for about 1½-2 hours until tender. Serve with mashed potatoes and seasonal veg.